A viewing will be held from 5 to 7 p.m. Sunday at Geschwindt-Stabingas Funeral Home Inc., Schuylkill Haven. A Mass of Christian Burial will be celebrated at 10:30 a.m. Monday at St. Ambrose Roman Catholic Church, Schuylkill Haven, with the Rev. Edward S. Zemanik officiating. There will be no calling hours at the church prior to Mass. Interment will immediately follow Mass at Schuylkill Memorial Park, Schuylkill Haven. 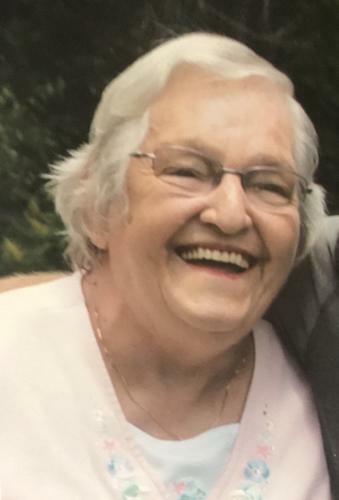 At the family's request, donations in Mary's memory may be made to Alzheimer's Association, South Central PA Chapter, 2595 Interstate Drive, Suite 100, Harrisburg, PA 17110, or St. Ambrose Church Memorial Fund, 201 Randel St., Schuylkill Haven, PA 17972. To extend online condolences, visit www.gsesfuneralhomes.com. Geschwindt-Stabingas Funeral Home Inc. has been entrusted with arrangements.